Hi everyone! starting today, I will have a featured author, I will do this every month so watch out for other awesome authors that will be posted here in my blog! I'll do this every Monday before the end of the month or something at the end of the month it depends. 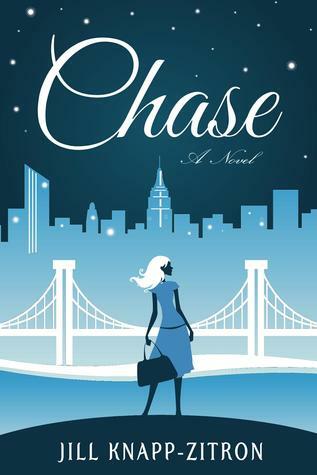 So for this month, I'll feature Jill Knapp Zitron author of Chase. Tell us something about your life being a writer. Everyday starts off similar to the last one. I wake up, feed my dogs, have breakfast, and then sit at my computer and write. Whether I am writing an article for Huffington Post, working on my second novel, or trying to promote my first, a lot of my day is dominated by writing. I really enjoy. Did you dreamed to become a writer since you were a child? For most of my life, I dreamt about being a psychologist. But in between the cracks of that dream, I always loved to write. I took writing classes in college whenever my scheduled allowed for it, and also preferred writing papers always taking tests. I went to graduate school and received my Master’s in psychology. After teaching at the college level for a few years, my husband and I took a leap of faith and moved to North Carolina. Although I started writing Chase a few years before we moved here, I am freer to work on my writing now than I was when I lived up north. What inspired you to write novels/series? At the time, I was in love with New York City. And in a way, I always will be. I wanted to write a story about what it’s like to be in your early twenties in New York and trying to find your path. A lot of the stories/ T.V shows about NYC had central characters who were teenagers, or in their early thirties. There weren’t too many about people in their early twenties, and I had never read a book about a character in graduate school before. College? Yes. Law School? Definitely. But I couldn’t recall any stories about young people starting out in a different type of career. How do you handle negative book reviews? I guess I handle them as well as I could. They all make me think about what I can do differently with my next book. Some of the reviews so offer constructive criticism, while others are just cutting and cruel. Currently I am working on my second installment in the Chase series, and I am working on editing a short story I wrote called Deliver Me. Why would readers needs to read your book? I think my book gives a fresh voice to the twenty something single girl. It’s a book about a lot of things; chasing guys, friendships, balancing school work as an adult (which is a lot more difficult than when you are a teenager), and so much more. If you like books about trying to make it in New York, than this is the book for you. Give us highlights about your book. The book is about a young woman named Amalia Hastings who’s world starts to change during her 23rd birthday party. Her boyfriend begins to show his true colors, her best friend ignores her wishes for a small, intimate gathering, and another one of her best friends just doesn’t show up. She’s struggling to keep it all together until she can finally go on a trip to Brazil that she’s been planning for months. What is more important characters or plot? That’s a hard question. I think it has to be both. You could have a great story, but if your characters are weak then ultimately no one will care about the joys or consequences. It has to be a good balance between the two. And the plot should make sense with what is going on with the characters at that point in their lives. What do you love about your book? I love my characters. I think they act and react how 23 year olds would in the situations they are put in. Some of them are reserved, but some of them let their emotions out and you know exactly how they feel about everything. Which is refreshing to me. Any messages for your readers? I hope you all love the book, and I will try to get the second one done as soon as I can! Thanks for the support. 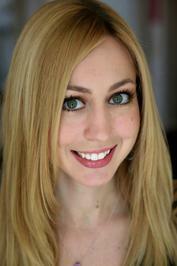 The question that 23-year old Amalia Hastings wants the answer to is: What happens to men when they move to Manhattan? Life in the big city gives Amalia a ride she is not expecting. As she tries to find her way on the little island that never sleeps, she discovers she has a harder time navigating through life then she does the streets of Greenwich Village and finds herself truly lost in the complex world of men, graduate school, money, family, and friendship. After getting terribly lost searching for love in all the wrong places, Amalia finds herself torn between the possibility of a relationship, and an adventure she's been planning all along. She eventually realizes that solely chasing love closes her off to all of the other good things life has to offer. Now she must decide – what is worth the chase?